The IAEA monitors the “upstream” dimension of nuclear weapons development while the CTBT is intended to monitor the “downstream” final proof of a State’s intention to develop nuclear weapons—that is, the actual nuclear test explosion. On 12 May 2018, the Ministry of Foreign Affairs of the Democratic People’s Republic of Korea (DPRK) issued a press release in which it announced that the Nuclear Weapon Institute and other related entities were “taking technical measures for dismantling the northern nuclear test ground of the DPRK in order to ensure transparency of discontinuance of nuclear tests”. The foreign ministry stated that a ceremony for dismantling the nuclear test ground is now scheduled between 23 to 25 May 2018 depending on weather conditions. It noted that the “dismantlement of the nuclear test ground will be done in the following sequence-making all tunnels of the test ground collapse by explosion; completely blocking entries; removing all observation facilities, research institutes and structures of guard units on the ground,” leading to the complete closure of the nuclear-weapon test site at Punggye Ri. In addition, in the interest of transparency, the foreign ministry stated that both local and foreign journalists will be given access to witness the test site dismantlement and closure. Foreign journalists will be confined to those from China, the Russian Federation, the UK and the US, given the limited space at the test ground, according to the foreign ministry. This announcement follows up on the commitment given by North Korea’s leader Kim Jong Un at his summit meeting with South Korean President Moon Jae-in, where it was announced that foreign experts and journalists would be invited to witness the closure of the DPRK nuclear-weapon test site. While US President Donald Trump and others have welcomed the DPRK announcement to dismantle its nuclear-weapon test site in advance of the DPRK-US Presidential Summit, journalists and media representatives can only report on the activities stated to be carried out by the DPRK General Department of Atomic Energy and its Nuclear Weapon Institute to dismantle the boreholes and tunnels at the Punggye Ri nuclear-weapon test site. Journalists are not nuclear-weapon or verification experts, despite many having experience in covering nuclear related matters in the Korean peninsula and internationally. The only credible international monitoring and verification organization with relevant expertise and technology in the area of nuclear-weapon testing is the Vienna-based Comprehensive Nuclear-Test-Ban Treaty Organization (CTBTO), which has been established to provide the global verification system for the 1996 Comprehensive Nuclear-Test-Ban Treaty (CTBT) that prohibits all types of nuclear explosions in all environments for all time. The CTBT has been signed by 183 States and ratified by 166 – North Korea’s signature and ratification is required to achieve the entry into force of the Treaty. (China, Egypt, Iran, Israel and the US have signed but not ratified, the US being the only country whose Senate rejected ratification in 1999; DPRK, India and Pakistan have yet to sign/ratify). The CTBT’s global International Monitoring System based on 331 stations utilizing four different verification technologies is now nearly 90% complete and greatly exceeds the verification capabilities envisaged in 1996 when the Treaty was negotiated and opened for signature. International Monitoring System: 337 Facilities – 90%+ complete. Source: CTBTO. The International Atomic Energy Agency (IAEA) was established in 1957 to promote the peaceful uses of nuclear energy while preventing its military or weapon uses. From 1968 onwards, the IAEA was given the verification or safeguards responsibilities for non-nuclear-weapon States party to the nuclear Non-Proliferation Treaty to confirm that they were utilizing nuclear material exclusively for peaceful uses and that there is no diversion of nuclear material from peaceful to military uses. Under UN Security Council resolution 687 (1991), the IAEA was given the mandate to verify Iraq’s nuclear programme and a newly created UN Special Commission (UNSCOM) to verify destruction of Iraq’s weapons of mass destruction programme. The IAEA established an Iraq Action Team (Iraq Nuclear Verification Office) composed of nuclear-weapon experts with intelligence support from the five nuclear-weapon States to seek and destroy Iraq’s nuclear-weapon infrastructure, while regular IAEA safeguards inspectors checked out Iraq’s civilian nuclear activities. In December 2003, the US and the UK removed uranium enrichment equipment and nuclear weapon related information from Libya, and the IAEA was asked to verify Libya’s civilian nuclear activities. Similarly, from August 2002 onwards the IAEA has been verifying Iran’s civilian nuclear programme and investigated “possible military dimensions” relating to possible nuclear weapon related activities. The IAEA’s safeguards inspectors have unparalleled expertise in verification of civilian nuclear programmes, but not in the areas of nuclear weapons and nuclear-weapon testing activities. With regard to the DPRK, the IAEA has been engaged with North Korea since 1977. In the latest report on safeguards implementation, the IAEA states that in June 2017, the Director General established a DPRK Team in August 2017, within the Department of Safeguards to: enhance the Agency’s readiness to play an essential role in verifying the DPRK’s nuclear programme; ensure the availability of appropriate verification technologies and equipment; and an Executive Group was formed to consider procedural, managerial and legal matters. However, it is important to note that the IAEA does not have any expertise or experience in verification of dismantling of nuclear weapons and nuclear-weapon test sites – nor any mandate to do so – its mandate pertains to civilian nuclear activities. Hence, for efforts at international verification of future nuclear weapon dismantling, there are separate international research programmes such as the International Partnership for Nuclear Disarmament Verification (IPNDV), QUAD Nuclear Verification Partnership, and the UN Group of Experts on Verification – none of these involve the IAEA, as these activities lie outside the IAEA’s mandate. Just as South Africa unilaterally safely dismantled its six nuclear-weapon devices, the safe and secure dismantlement of North Korea’s nuclear weapons and nuclear-weapon test site can be done only by North Korea itself. The CTBTO should be invited to monitor and confirm the dismantlement of the Punggye Ri nuclear-weapon test site, and nuclear-weapon technicians from China, Russian Federation and the US invited to confirm the dismantlement of the DPRK’s nuclear weapons and other nuclear explosive devices. To date, South Africa, France, Kazakhstan/Russian Federation, the UK and the US have dismantled and closed nuclear-weapon test sites. South Africa unilaterally closed its test site at Vastrap in the Kalahari Desert in the late 1970s. France closed its test sites at Reggane and In Ekker (Algeria, late 1960s) and in Muroroa and Fangataufa Atolls (French Polynesia, 1996). The Soviet Union’s principal nuclear-weapon test site at Semipalatinsk was closed in 1991 following the collapse of the USSR and the independence of Kazakhstan. Kazakh, Russian and US nuclear-weapon experts closed the Semipalatinsk test site in the following years under the US’ Cooperative Threat Reduction (CTR) programme. The UK closed test sites at Montebello Islands, Emu Field and Maralinga (all in Australia) and in the South Pacific (Kiribati). The US had nuclear test proving grounds at the Bikini, Enewetak and Johnston Atolls, Kirimati/Kitibati (South Pacific), all of which were closed and nuclear testing transferred to the Nevada Test Site. All of the closures of nuclear test sites noted above, except for Kazakhstan, were implemented by the respective States themselves without any international oversight or monitoring. The IAEA was invited to carry out radiological surveys to measure radioactive contamination at the test sites in Algeria and French Polynesia; but these surveys did not in any way involve any verification of dismantling and closure of nuclear test sites. Following accession of South Africa and Kazakhstan as non-nuclear-weapon States to the Treaty on the Non-Proliferation of Nuclear Weapons (NPT) and implementation of related IAEA safeguards or verification, the IAEA verified relevant documentary records (as well as facility inspections) relating to South Africa’s unilaterally dismantled nuclear weapon programme and Kazakhstan’s closure of the USSR’s Semipalatinsk test site. 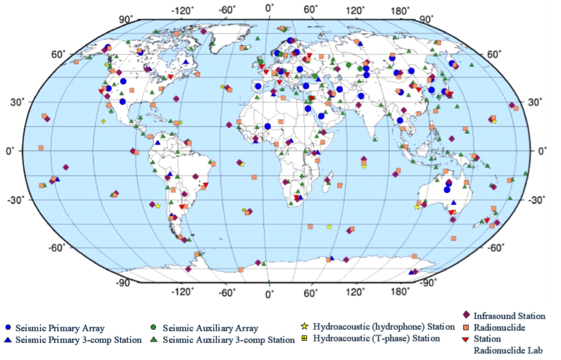 Until the CTBT was opened for signature in September 1996 there was no international verification system or organization with respect to nuclear-weapon tests. With the establishment of the CTBTO and its well-functioning international monitoring system, and the experience of its training and integrated field exercises, the CTBTO can draw upon a roster of highly qualified international experts for verification purposes. 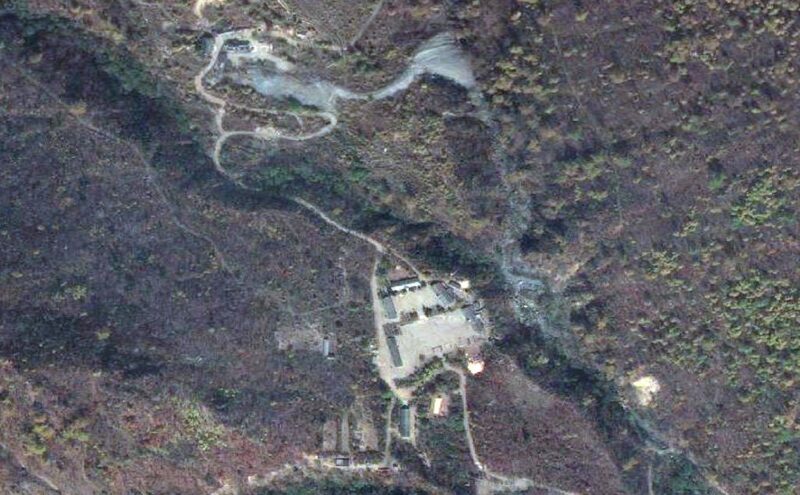 The CTBTO should be able to provide a highly competent team of qualified international experts to witness and confirm the dismantlement and closure of the DPRK’s Punggye Ri nuclear-weapon test site. The concerned States with respect to the denuclearization of the Korean Peninsula – China, Japan, Russian Federation, South Korea and the US – must ensure that the DPRK invites a CTBTO observation team to join the international journalists on 23-25 May to witness and confirm the dismantling and closure of the Punggye Ri nuclear-weapon test site. North Korea’s leader, Kim Jong Un, would bolster his credibility and commitment to denuclearizing the Korean Peninsula were he to reach out to the CTBTO and invite the CTBTO’s technically competent and impartial verification capabilities to Punggye Ri to demonstrate transparency and fulfillment of North Korea’s announced commitment to permanently shut down its nuclear-weapon test site. Download Tariq Rauf’s article as PDF here. Tariq Rauf is a Consultant with the Comprehensive Nuclear-Test-Ban Treaty Organization (CTBTO), formerly he was Head of Verification and Security Policy Coordination, Office reporting to the Director General, International Atomic Energy Agency (IAEA) and worked on high priority nuclear verification files including: DPRK, Iran, Iraq, Libya, Republic of Korea and Syria, as well as on implementation of IAEA safeguards globally. Exclusively personal views are expressed here.